Race, challenge, sabotage, and customize. 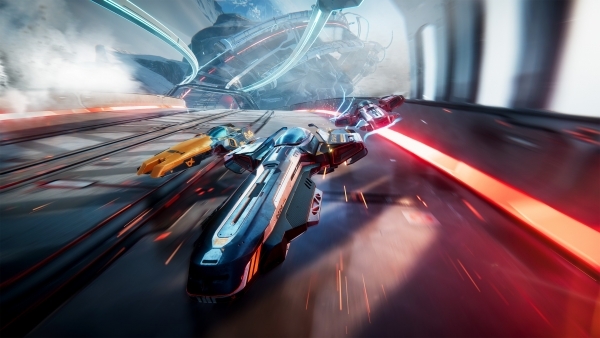 Publisher Iceberg Interactive and developer Cybernetic Walrus have announced Antigraviator, a “frenetic anti-gravity racing game” developed on the Unity engine and due out simultaneously for PlayStation 4, Xbox One, and PC in Q2 2018. It will support English, French, German, Italian, Russian, and Simplified Chinese language options.